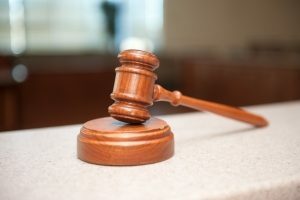 Although California cannabis business attorneys know significant strides have been made with regard to legitimization of California’s marijuana industry, a ruling by the U.S. Tax Court underscored once again that until there are significant changes at the federal level, marijuana businesses are still illegal drug-smugglers under the eyes of the law. In Harborside Health Center v. Commissioner of Internal Revenue, what is admittedly one of the largest marijuana dispensaries in California – and possibly the U.S. – requested the usual tax deductions that any legitimate business owner might seek. It also sought to be treated just like any other corporation because it abides the law in California, as our California cannabis business lawyers know many such distributors in the state do, and federal prosecutors opted not to take any type of civil forfeiture action against the firm. The IRS, however, sees it much differently. In the eyes of federal law, as long as the U.S. Controlled Substances Act remains in place (designating marijuana as a Schedule I narcotic), the IRS sees Harborside (and presumably others like it) nothing more than a large drug trafficking ring, not entitled to those deductions or even allowed to capitalize indirect costs into its inventory, and further subject to potentially millions of dollars in penalties for taking several contrary positions on tax returns from 2007 through 2012. The U.S. Tax Court, unfortunately, found that unless and until federal lawmakers decide to legalize marijuana at the federal government level, such licensed California marijuana dispensaries are going to be treated like any other drug dealer. Los Angeles marijuana business attorneys know this is largely in part due to Section 280E of the U.S. Tax Code, a change made in the 1980s. We recognize that effectively what this does is result in extremely high prices for consumers of recreational and medicinal marijuana, in turn encouraging the drug to remain on the black market and thwarting state-level efforts to control the market on cannabis. If we are to make any strides on this front, Congress is going to have to take decisive action – and soon – to ensure the IRS doesn’t discriminate against marijuana businesses. Then in the 1980s, the IRS determined a convicted narcotics dealer would be allowed to take deductions for phone and rent in order to lessen his tax bill. Congress, however, was determined not to let this ruling stand (this was the “Just Say No” Reagan-era, after all). That’s when Section 280E was introduced and later passed to be incorporated into the tax code. Of course at the time, no one could have foreseen that California would legalize the drug as medicine in 1996. The U.S. Tax Court then ruled in 2007 and again in 2012 that the state’s medical marijuana law wouldn’t exempt cannabis collectives from U.S. drug trafficking laws, and therefore they were still subject to Section 280E. This means many millions of dollars in additional tax liability. Previous efforts to reform Section 280E of tax law have died in Congressional Committee. For the sake of the future of this industry, our Los Angeles marijuana lawyers encourage Congressional leaders to press for tax reform of Section 280E.